* Sensor closed-loop temperature control for heating system; Precise temperature. * Heater which is 36V powered is fully isolated from mains; Safe and reliable. * LED digital display; Auto sleeping available and optional. * Suction nozzles and heater are specially designed; High efficiency without frequent maintenance. * Heater of long life time. * Heat resistant vacuum hose used. 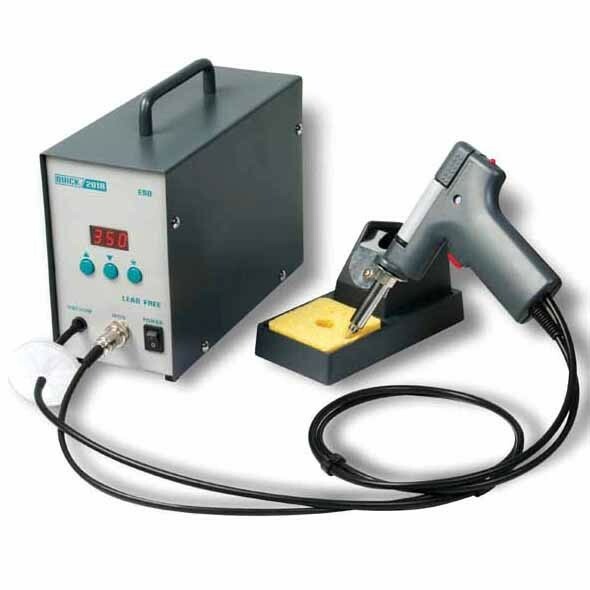 * Lead free soldering design for main unit; Lead free de-soldering can be achieved as long as the lead free de-soldering gun is equipped.